Why Do Fleets Get So Many Parking Tickets? The modern fleet management company uses the latest technology to track their vehicles and ensure that things are running smoothly for their customer’s drivers. They do everything in their power to ensure that efficiency and safety are always prioritized. From using telematics devices to gather real-time data, to alerting customers when it’s time to fix or replace a vehicle - fleet management companies like Enterprise Holding’s do everything in their power to save money and make their customers happy. So then, why do they get still get so many parking tickets? You would think that fleet management companies would have found a way to avoid tickets all together, considering they collect so much data on where their vehicles are. The truth is, despite all the data collection, a driver who overstays their welcome is still going to get issued a ticket. However, the driver usually gets away free in the end. The vehicle is registered to the fleet manager, and the manager is responsible for the ticket. With millions of vehicles on the road, you can imagine how many unpaid parking tickets that companies like FedEx, Comcast, and Enterprise are responsible for. In a worst-case-scenario, a fleet vehicle could even be booted or towed. Now, not only is the driver and customer out of a vehicle they need to work, but the manager of the fleet must begin the expensive process of recovering the vehicle from the impound. Despite all the ticket revenue, the municipalities are not happy with the current systems either. The ticket revenue usually can’t make up for the ignored compliant parking payments. Some DMV’s, like the one in the District of Columbia, have created “Fleet Ticket Services”. Where fleet managers can identify their fleet vehicles ahead of time in exchange for acceptance of mass-ticket payments on a monthly basis, and to not be subject to booting or towing. This works out well for some fleets and municipalities, but others cannot come to agreement. Some municipalities offer fleet-wide permit options to ensure that a ticket is never issued to a fleet. This style of service is less agreeable for some fleets, who say that they only want to have to pay for parking that their customer’s actually use. 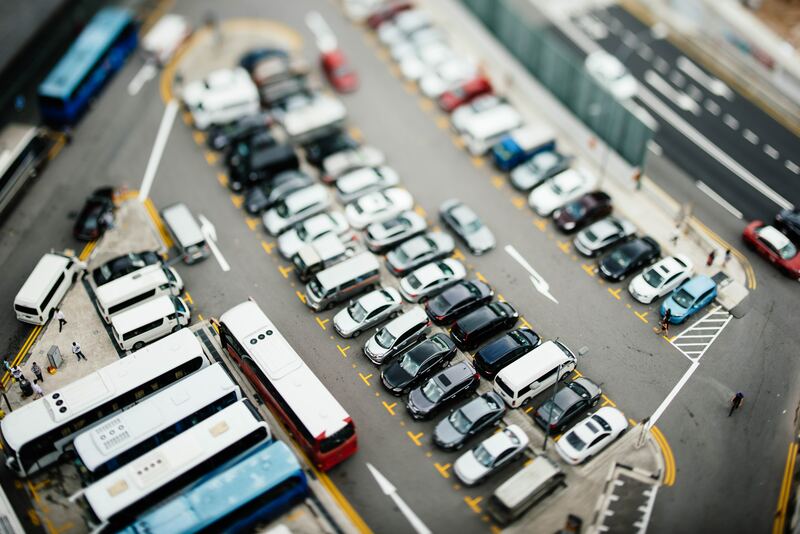 The current state of technology leads both cities and fleets to believe that there must be a better way to handle fleet parking. Meter Feeder CEO Jim Gibbs thinks that the answer is right under our noses. “Many fleets already have cellular telematics devices in all of their vehicles. Those devices could pay for parking over the internet automatically. Our software actually allows for payments to be processed as soon as a vehicle is turned off in a mapped parking zone”. Meter Feeder has developed patent-pending Pay-By-Vehicle technology that allows any vehicle to pay for parking in compatible zones simply by turning the vehicle off. That means any time a driver turns off the rental or fleet vehicle, it checks to see if it needs to pay for parking via geomatics. If it does, it simply keeps track and charges the specified account until the car is turned back on and moved. With this technology, fleets can avoid tickets, and municipalities can ensure proper revenue recognition. This technology is part of the bigger picture solution to fully automating our cities. The technology can be used in any vehicle made after 1996, meaning that even private citizens parking their car can have payments be charged automatically. Meter Feeder is a technology company devoted to making the parking industry simpler, and their hope is that the Pay-By-Vehicle technology is the next step to the future of autonomous work and life.